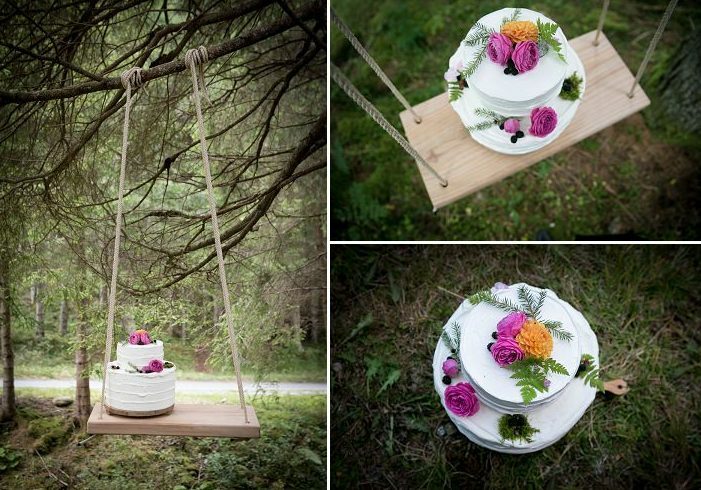 We are sharing more and more interesting weddings and wedding shoots, so if you are looking for inspiration, keep reading our blog! 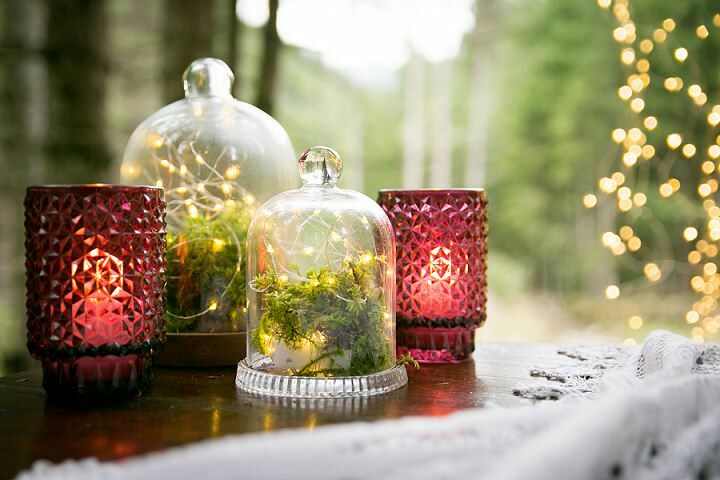 The shoot we are featuring today is inspired by the Italian Alps and is filled with winter woodland magic and traditions. 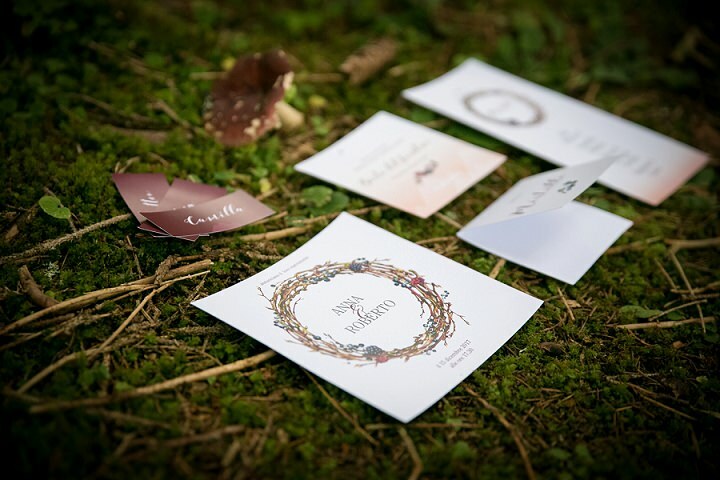 Let’s have a look. 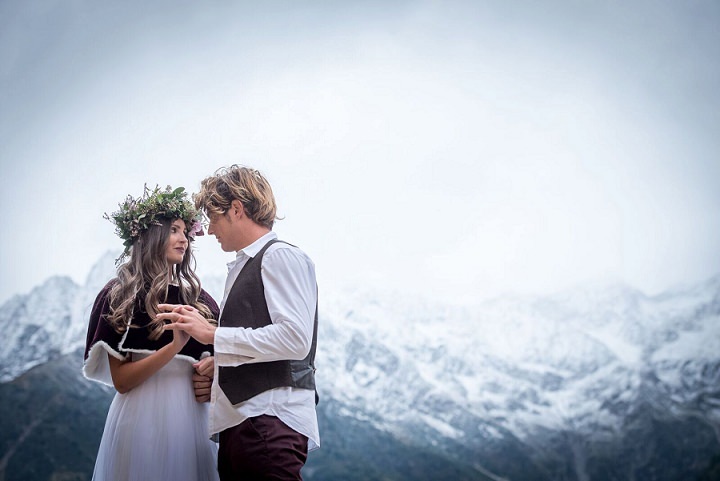 The shoot took place in the Italian Alps in Vallecamonica and was created to inspire other couples to choose the northern mountains for their wedding or elopement. 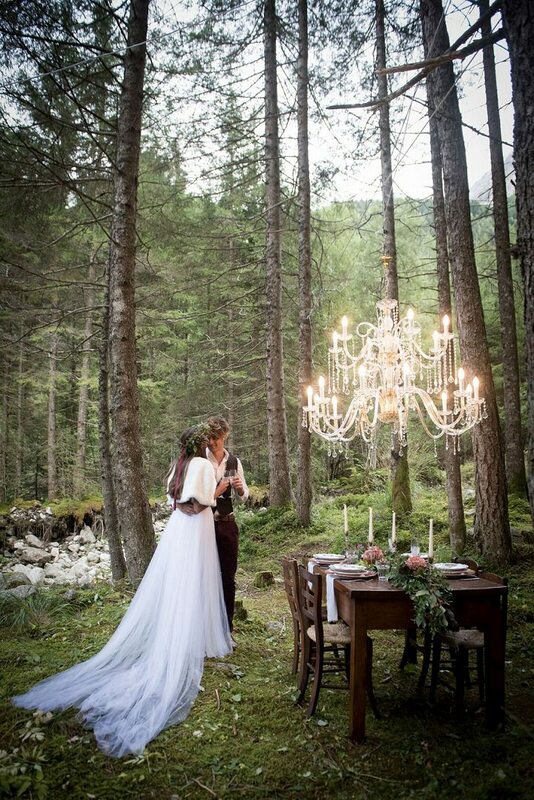 Most of shoot stylists love mountains and want to promote Italian mountains as the perfect venues for a romantic wedding. 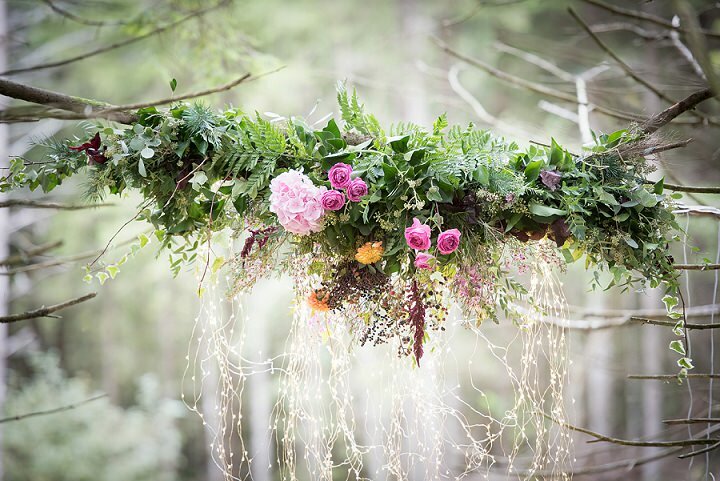 The decor was done with fir, moss and ferns, and wild berries were used both in the floral decorations and on the wedding stationary. 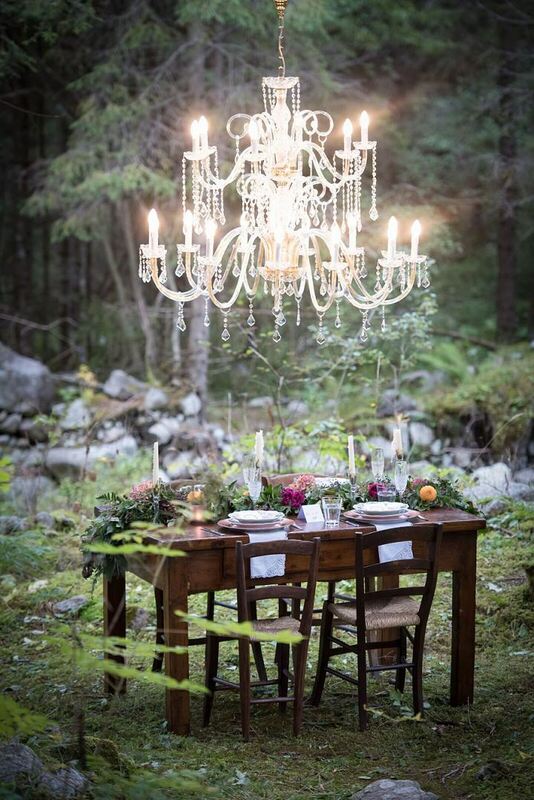 The stylists chose vibrant colors for the arrangements and hung up a chandelier lamp among the trees over a simple wood table laid with a greenery runner and copper elements. 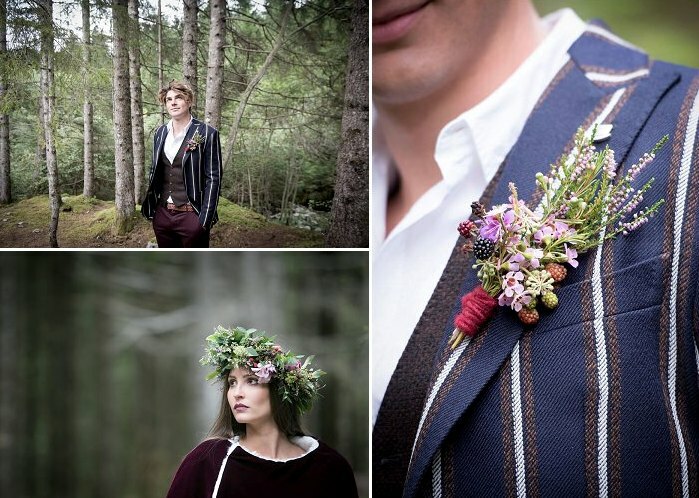 Both the bride and groom’s looks are very eye-catchy, they were inspired by the traditional looks in the mountain villages. 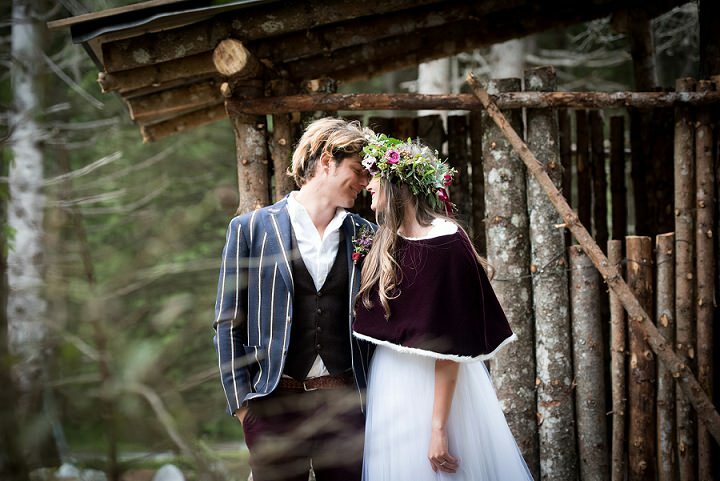 The bride was wearing a strapless wedding dress with a tulle cover on one shoulder, and a couple of interesting coverups: a plum coverup with white faux fur trim and a white faux fur coverup. 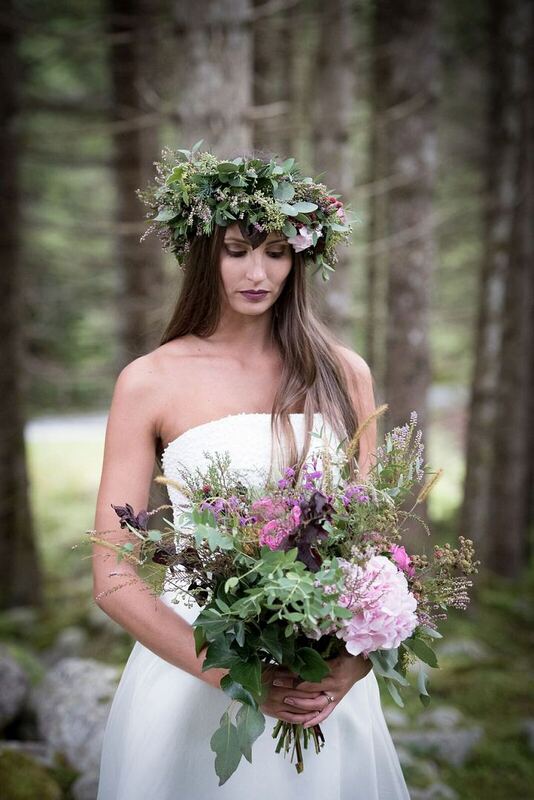 Her look was finished with a greenery crown with blooms and berries. 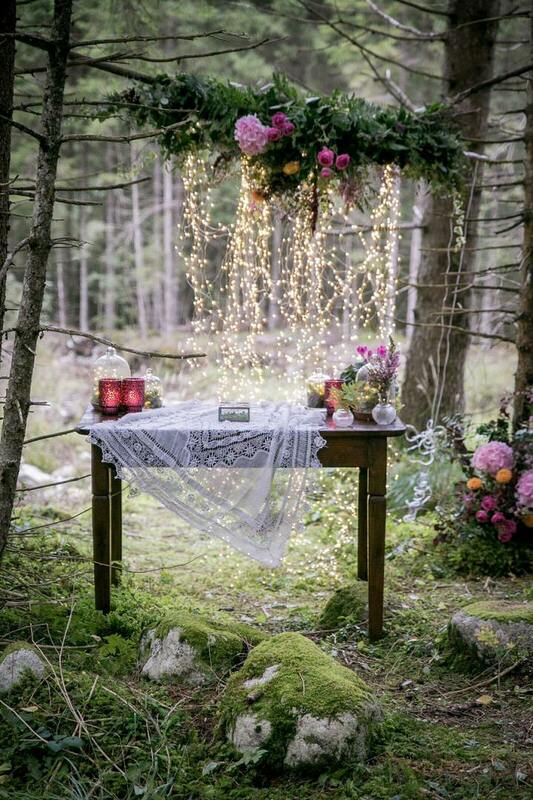 The groom was wearing plum-colored pants, a black vest, a white shirt and a navy and white striped blazer.